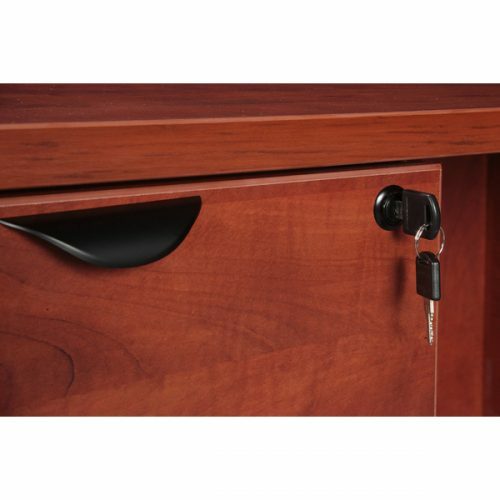 Includes two locking suspended pedestals and a transaction top. 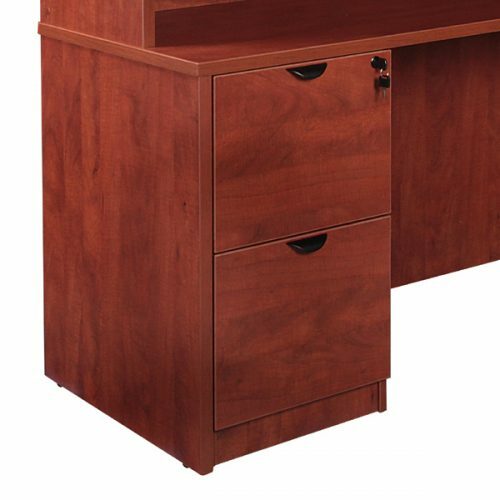 Price includes assembly. 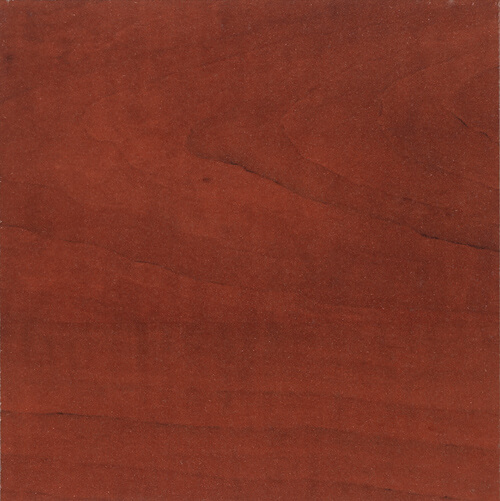 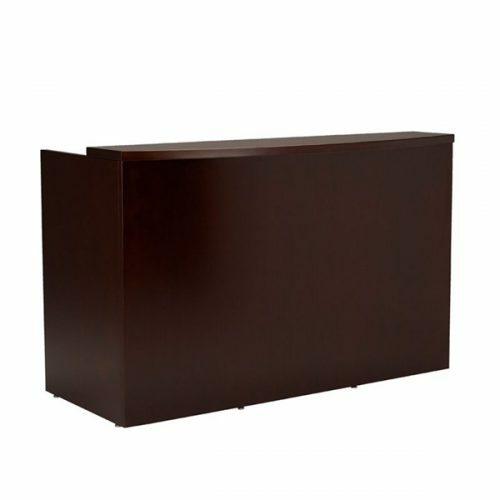 Full floor pedestal option available. 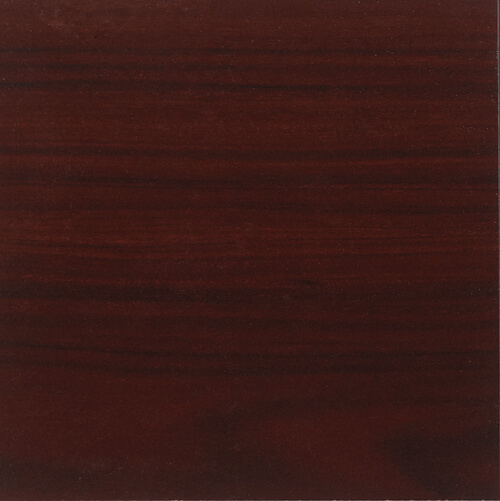 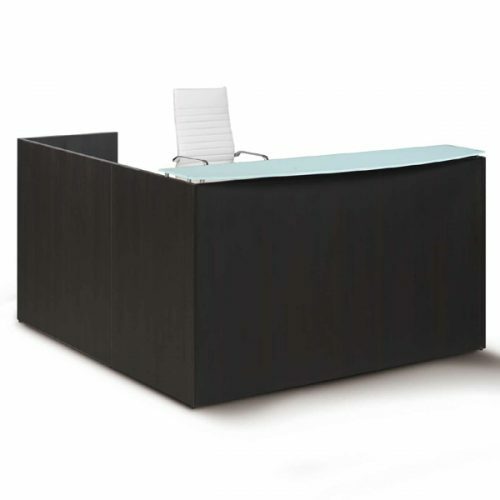 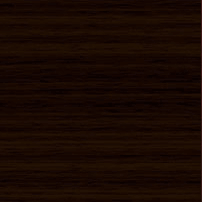 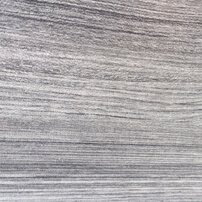 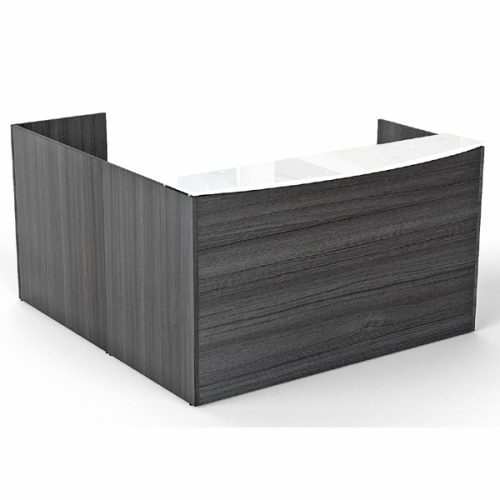 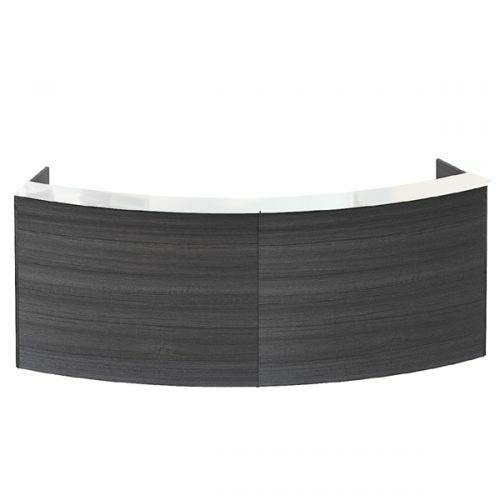 All Solutions brand reception desks are commercial grade laminate, 3mm edge banding, come fully assembled and are available in three color options. 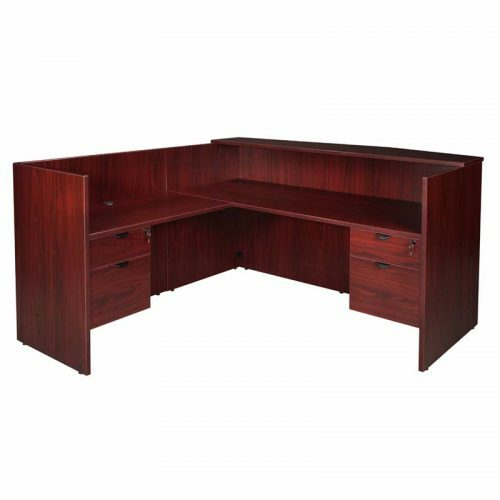 30" x 72" Desk Includes two locking pedestals and a transaction top. 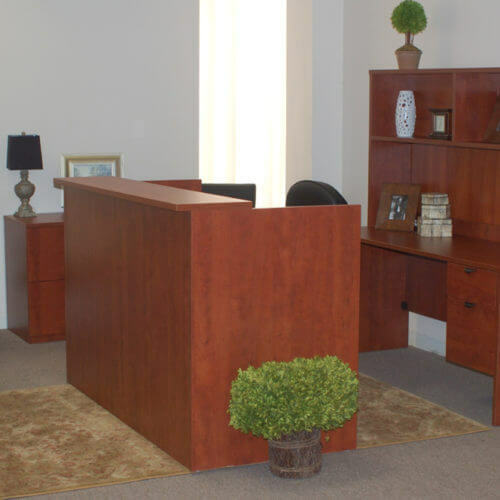 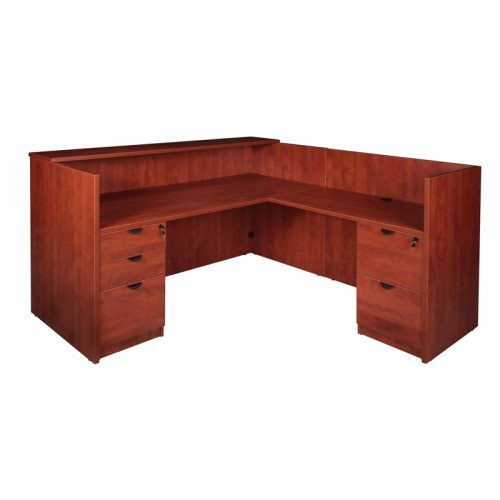 30" x 71" Desk with 24" x 42" return L Shape/ Return Reception desk with two locking pedestals and a transaction top. 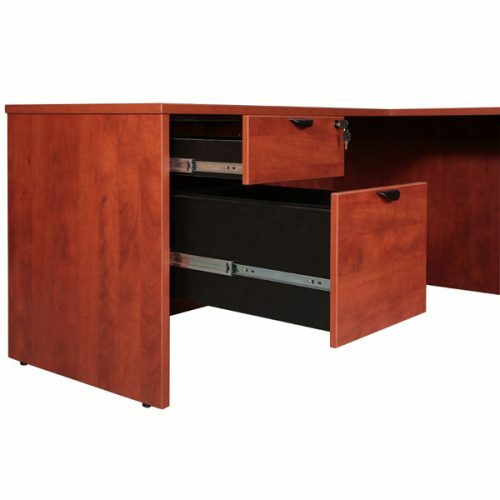 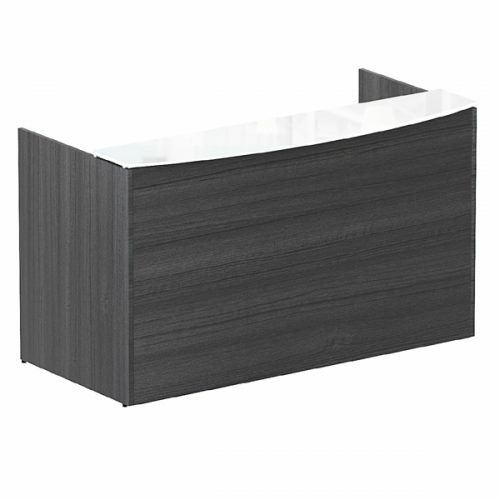 30" x 72" Desk Includes a single locking drawer pedestal and a transaction top.